We recognize that choosing a surgeon is a very important and personal decision. Dr. David C. Johnson's utmost priority is to make your surgery experience easier by providing the skill, comfort level and surgical approach that your condition requires. 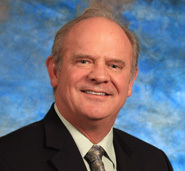 David C. Johnson, M.D., F.A.C.S. is a board certified General Surgeon who treats a broad range of conditions with surgery, including hernia repairs, anti-reflux procedures, colon surgeries and thyroid/parathyroid surgeries. He specializes in minimally invasive procedures that offer patients quicker recovery time, less scarring and pain, and fewer complications. He employs the latest medical technology, including robotically assisted surgery and Transoral Incisionless Fundoplication (TIF), which treats acid reflux without incisions. He also provides traditional surgery for those conditions that require it. Dr. Johnson's goal is to provide the least invasive surgical approach possible to treat your condition. Dr. Johnson and his expert staff are dedicated to your wellness, and work together to ensure that your surgical experience is the best it can be. If you have any questions, or would like to make an appointment, we welcome you to call us at (480) 219-0013.